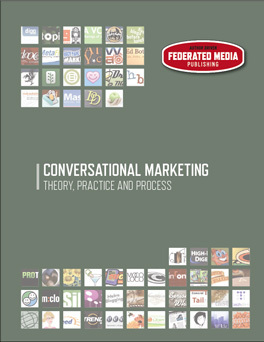 A robust 80-page sales tool that serves as a window into FM's unique Conversational Marketing and Media approach. The covered wiro-bound publication was distributed at the CM Summit, where web authors and marketers met to explore case studies and emerging technologies in an effort to develop mutually beneficial business ventures via social mediums. An interactive PDF version was utilized for web and e-mail distribution.